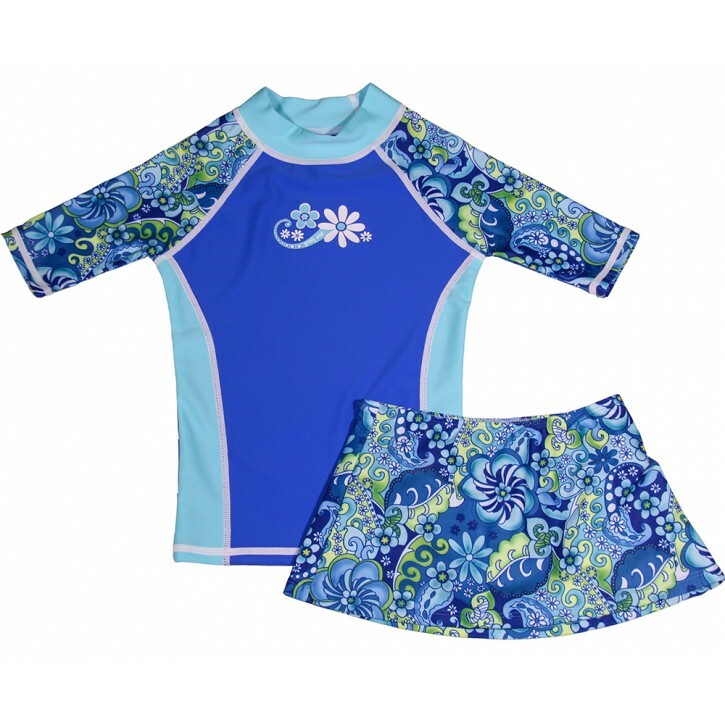 This irresistible Blue Paisley skirt set keeps your grUVy girl fashionable AND fully protected from the sun's harmful rays. 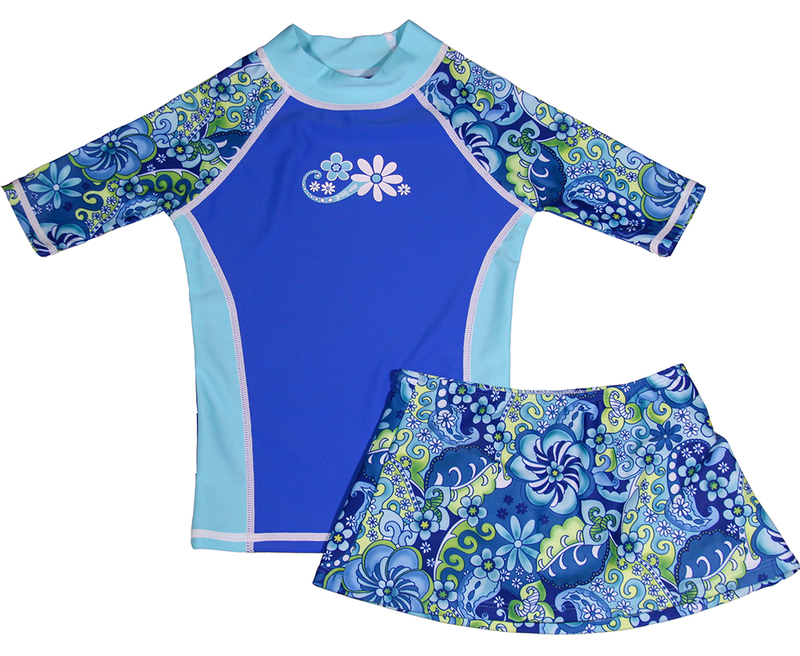 Girls go crazy for our comfortable UV shirt with matching swimskirt with built in bikini. With a comfortable helenca lining, this adorable matching UV skirt provides maximum sun protection for the beach, pool or just hanging out. Our outfits are designed to fit SNUG so if you want a looser fit order the next size up. Consult our size chart for ordering.